MainAll NewsJewish WorldLevi Aron: 'Inbreeding' Led to Murder? 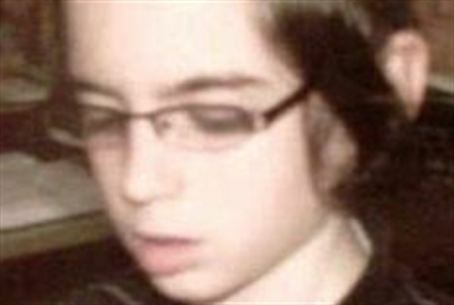 Levi Aron: 'Inbreeding' Led to Murder? The lawyer for the murderer of 8-year-old Leiby Kletzky blames marriage patterns among hassidim for his client's horrifying crime. In a desperate attempt to prove to the court of public opinion that his client is clinically insane the attorney for the murderer of 8-year-old Leiby Kletzky told reporters on Wednesday that "inbreeding" was the root cause of the brutal slaying. Howard Greenberg, a lawyer representing Levi Aron, the accused murderer of 8-year-old Leiby Kletzky, told reporters outside of Brooklyn Supreme Court after a brief hearing on Wednesday, December 21st, that "inbreeding" led his client to brutally murder of the Borough Park boy in July. Atty. Howard Greenberg described his client, Levi Aron, as a diagnosed schizophrenic who suffered a head injury in his youth. Greenberg then claimed genetics gone awry was a contributing factor in the gruesome murder. Asserting that relatives sometimes marry and procreate in Hassidic enclaves resulting in a higher risk of genetic defects amongst their offspring. Greenberg said, "There's inbreeding in that community. That's an aspect of his (Aron's) familial history. It's something that needs to be investigated down to the ground." He refused to elaborate. "It's a very simple case: Levi Aron is either evil or he's crazy. There's a history of schizophrenia," said Greenberg. Snatching little Leiby Kletzky off the street last July in Borough Park as he got lost after leaving his day camp, Aron, 35, is also accused of holding him captive for more than a day, feeding him psychotropic drugs, smothering him and then dismembering his body as he kept his feet in his freezer. Aron claimed he "panicked" after becoming aware of the massive search for the child. After being examined by a team of psychiatrists, Aron was determined mentally fit to stand trial and in the coming months a judge will appoint experts to further evaluate Aron. The sensational arguments espoused by Aron's defense team will most likely by rebutted by prosecutors who will be relying on extensive confessions Aron made to police indicating he knew his actions were wrong as well as testimony from mental health professionals. "My opinion is this guy would admit he shot Kennedy if you spent enough time with him", said Greenberg. Assemblyman Dov Hikind who has represented the 48th assembly district in Borough Park for decades and is in close touch with the Kletzky family called Greenberg "a pathetic figure" Of the inbreeding remark, Hikind said, "It's an insult to the community. It's degrading. None of this is relevant. It has nothing to do with the situation and is only meant to distract us from the reality of this horrible act." The defendant was not in the courtroom last Wednesday, but appeared via video hookup from jail. Appearing catatonic, Aron was dressed in all black. If acquitted by reason of insanity, he'll be committed to a mental institution for life. If the insanity plea was rejected, Greenberg said, "You can quote me on this. I will quit the practice of criminal law if Levi Aron is not found insane." Prior to Greenberg joining the team, Aron's lawyers Pierre Bazile and Jennifer McCann were reprimanded by Judge Neil J. Firetog for engaging in highly unprofessional conduct regarding the trial and its details. Firetog censured the two for discussing the case on their personal Facebook pages and leaking information to the press. Aron is due back in court in March and his trial is not expected to start for at least another year. Editor: While cousin marriages - permitted by the Torah - amount for 10% of marriages worldwide, the practice is uncommon in Jewish communities. The incidence of birth defects arising from such marriages is no higher than in offspring born to women in their early 40's.